Guest: Dr. James (Jim) A. Dewar. Topics: Nuclear Thermal Rocket (NTR), changing paradigms to use the NTR from Earth launch, nuclear economics. You are invited to comment, ask questions, and discuss the Space Show program/guest(s) on the Space Show blog, http://thespaceshow.wordpress.com. Comments, questions, and any discussion must be relevant and applicable to Space Show programming. Transcripts of Space Show programs are not permitted without prior written consent from The Space Show (even if for personal use) & are a violation of the Space Show copyright. 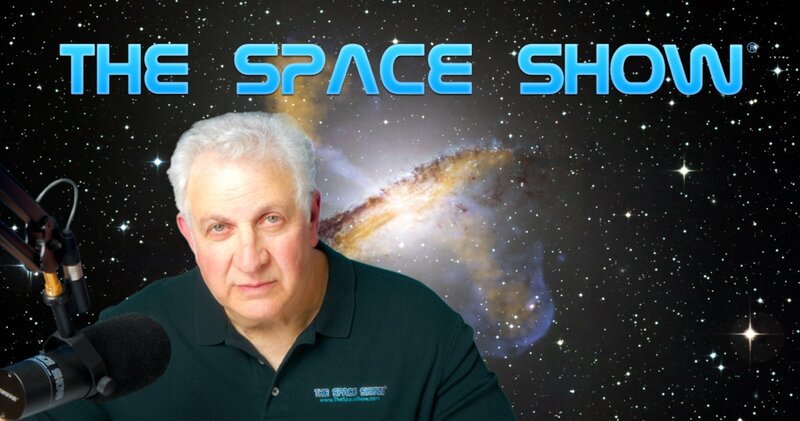 We welcomed Dr. Dewar back to The Space Show to further discuss the Nuclear Thermal Rocket (NTR) and his paradigm changing approach to use the NTR to launch from Earth rather than using it only in space. During this nearly 2.5 hour discussion, Dr. Dewar makes the case for the NTR based on probable economics, the previous history associated with NERVA, and the assumed benefits flowing to private companies engaged in public private partnerships along the lines Dr. Dewar described. In the first segment, Dr. Dewar started out describing the existing barriers to using the NTR to LEO rather than only in space, plus he referred us to his 29 page introductory paper which is available on The Space Show blog for your download and review. During this segment, we fielded many listener emails and calls wanting to discuss the NTR ISP, possible fuels, testing, and legal issues impacting the use of the nuclear rocket. Michael called and talked about the discussions for a new treaty, the Fissile Material Cut-Off Treaty (FMCT) and how that would adversely impact using the NTR. Dr. Dewar talked about treaty issues over the years and suggested that treaties are not that easy to establish in this era while suggesting that they could also be modified. Near the end of the first segment, questions about thorium came up as did questions about additional commercial uses for the nuclear engine here on Earth. In the second longer segment, we talked about winning over the public and the media. Charles Pooley called in with a set of questions and we talked about reentry vehicles, highly enriched uranium, and more. Jim described a Titan missile accident in Arkansas as an example of the safety controls even in a very large explosion. Another listener asked about cooling and Jim told us about pulse cooling. Dr. Dewar's air launch idea was brought up again by another caller and Marshall sent in an email inquiring about the nuclear engine replacing coal in our terrestrial power plants to make electricity. I asked Dr. Dewar about risk assessment for the nuclear rocket and reprocessing given terrorism, etc. He said the reprocessed material would be carefully guarded but also weighed against the environmental risks associated with burying waste, burning it, or even dumping waste in the ocean. Dr. Dewar was asked about using the nuclear rocket only in space rather than attempting to use it to launch from Earth. He compared using it only in space to the Pony Express. Don't miss his full response in replying to this question. Later in this segment, I asked Jim for his first step in advancing the NTR. He said the first step was to get people talking about the subject. Tom called in and also wondered how to get people to rally to the cause. Near the end of the program, Jim talked some more about potential economic benefits along with secondary commercial products such as heat pipes. As our program was ending ion engines came up as did Vasimr. Please post your comments/questions on The Space Show blog. If you want to contact Dr. Dewar, send your note to me for forwarding.